What is more hazardous to the average American than boarding a commercial airplane, space craft or nuclear submarine? If you guess being admitted to a U.S. hospital, then you are correct. Despite countless global patient safety initiatives, mandatory safety protocols and even surgical checklists, patients continue to be exposed to harm from doctors because of the rampant occurrence of unnecessary surgery. A USA Today investigation reports that as many as 10 to 20 percent of all operations in some specialties are unnecessary. A new study published in the Journal of Patient Safety in Surgery, Why do surgeons continue to perform unnecessary surgery? reports that, “avoiding unnecessary surgery could be considered the most pragmatic approach to reducing preventable surgical complication rates.” The study defines unnecessary surgery as a surgical intervention that is not needed, not indicated or not in the patient’s best interests when weighed against other available options and conservative measures. What are the reasons for unnecessary surgery? Doctors perform surgeries because they have been trained to do so, and because they have always done it that way or they simply do not know better. Doctors are incentivized to do surgery either for financial gain, notoriety or both. Of the estimated 48 million surgical procedures performed each year in the United States, many save and improve patients’ lives, but too many of those surgeries were completely useless. Some of the complication risks that come with any kind of surgery include hemorrhaging, infection, damage to internal organs, anesthesia errors and others. After the surgery, the patient must go through the pain of recovery and lost time at work and their regular daily activities. Surgical malpractice is the negligent action or failure to act on the part of the surgeon or other medical professionals participating in a surgical procedure. The negligent action is one that is a deviation from the generally accepted standard of care within the medical community for that specialty. Unnecessary surgical malpractice is just one of dozens of different surgical mistakes that can occur. Not all unnecessary surgeries are negligent. If a patient suffers an injury as the result of a surgical procedure that turns out to have been unnecessary, they would have to prove that the surgeon misrepresented the requirement for the procedure, or when the physician convinces the patient that they need surgery when there are other, non-surgical options available that would be more effective and appropriate. If performing the useless surgery violated the standard of care, and the patient can draw a line of causality between the surgeon’s actions and their injury, they may have a medical malpractice case. If you are scheduled for surgery soon and you live in or around Washington, D.C. and you would like to know if your surgeon has a history of medical malpractice, we have published a post that contains information about looking into their professional background. 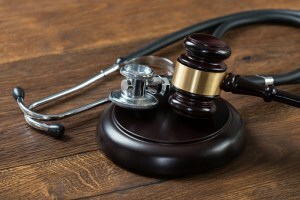 If you believe that you have a medical malpractice case, your best advice is to contact a Washington, D.C. unnecessary surgery attorney immediately. The statute of limitations for bringing a medical malpractice lawsuit in the District of Columbia is three years.